Get inspired --- Get out of your comfort zone --- Get to Valemount for a BC Rocky Mountain vacation where the mountains will move you. Three majestic mountain ranges serves as inspiration and the setting for hundreds of outdoor adventures in the charming Village of Valemount located in the North Thompson region of British Columbia. Here you can feel your adrenaline rush as you explore acres of snowmobile terrain … create your own tracks heli skiing through inches of fresh powder … Get your turns in at the Mountain Bike Park with over 25 trails to explore …let your imagination take flight as hundreds of birds lift off as one from Cranberry Marsh … or catch your breath after a hike through BC's unspoiled backcountry in Mount Robson Provincial Park just a couple hours north of Kamloops. Planning a Rocky Mountain vacation? Valemount is the ideal place to start. 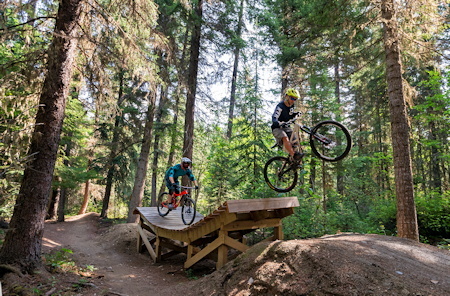 Nestled in a valley created by the awe-inspiring Cariboo, Monashee and Rocky Mountains, the Village of Valemout has earned its reputation as a year-round playground for travelers to British Columbia, with hundreds of exciting and inspiring activities. In the charming community and area you can discover a fishing paradise at Kinbasket Lake. 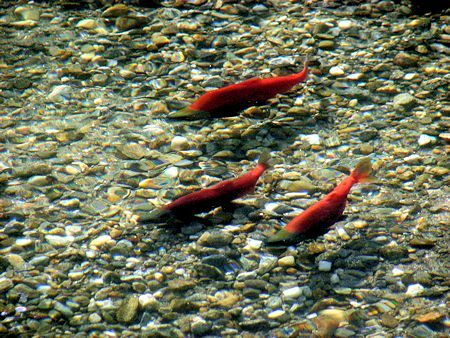 You will discover the smell of fresh, clean mountain air, pull your children and grandchildren close as you share the wonder of copper-colored Chinook salmon spawning, or raft or paddle our scenic rivers where travelers of all ages can go with the flow. This friendly spot along the Yellowhead and highway 5 is home to a little more than 1,000 people, several fuel stations, charming diners and restaurants, outdoor guides and attractions, and even a golf course is waiting for you! In the community of Valemount you will find more than 500 hotel rooms ready for visitors who appreciate the wide variety of outdoor adventures this Rocky mountain destination has to offer. We are proud to be the home of Mount Robson, the highest peak in the Canadian Rockies, and just a short drive to Jasper National Park. 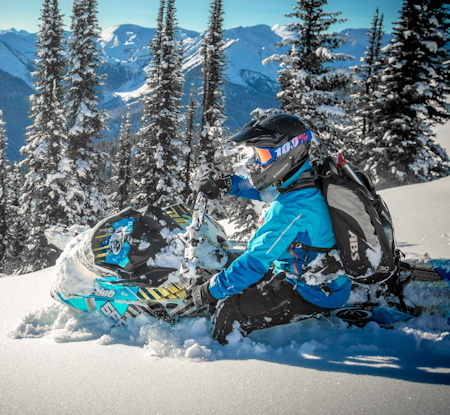 During the Winter, Snowmobilers from around North America come to Valemount to take in the Mountain terrain described as "first-class," "amazing" and "the ultimate ride" Nature lovers from Alberta and all over the world come to recharge and leave city stresses behind. Heli skiers from around the world come to Valemount to create their own tracks through our pristine powder. 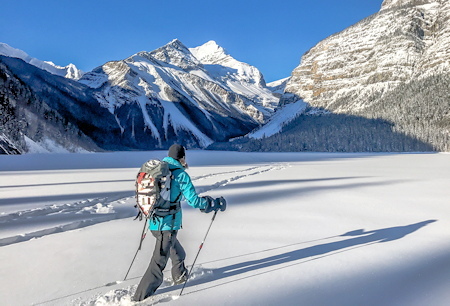 Whether you're looking for a little time to lay back, or prefer a mountain adventure laid at your feet, Valemount is the place for your winter retreat. and turn to Valemount for a summer vacation that your friends, children and grandchildren will talk about for years to come. 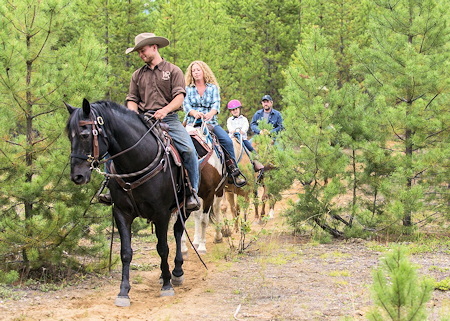 Have you wanted to go camping with your family in the backcountry? Take a helicopter ride? Gently raft down a river? Smell the fresh mountain air as you challenge yourself peddling the mountain trails through the Bike park. Even if you're just passing through Valemount you could surprise your family (and yourself) and create some once in a life time memories. In the travel business, they call fall and spring the "shoulder seasons." In the community and region around Valemount though we call them two more reasons for a getaway that's head and shoulders above the rest. 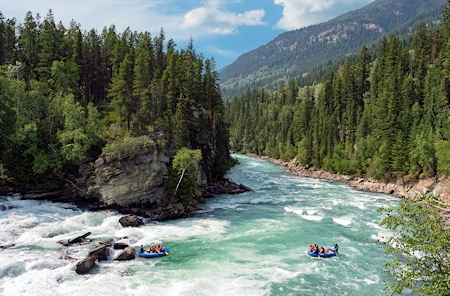 There's a little something for everyone's tastes in Valemount, in BC's North Thompson region, during the spring and fall. You might consider spring sledding (three mountain ranges yield trails for snowmobiling through June. Whether your idea of a vacation or adventure is white knuckles and whitewater rafting, golfing on greens surrounded by breathtaking mountain scenery, hiking and camping in Mount Robson Provincial Park, or simply relaxing with family and friends … you'll find a vacation to remember in and around the community Valemount, British Columbia … home to the awe-inspiring Cariboo, Monashee and Rocky Mountains.